"AMD" redirects here. For other uses, see AMD (disambiguation). Advanced Micro Devices, Inc. (AMD) is an American multinational semiconductor company based in Santa Clara, California and Austin, Texas that develops computer processors and related technologies for business and consumer markets. While initially it manufactured its own processors, the company later outsourced its manufacturing, a practice known as fabless, after GlobalFoundries was spun off in 2009. AMD's main products include microprocessors, motherboard chipsets, embedded processors and graphics processors for servers, workstations and personal computers, and embedded systems applications. AMD is the second-largest supplier and only significant rival to Intel in the market for x86-based microprocessors. Since acquiring ATI in 2006, AMD and its competitor Nvidia have maintained a duopoly in the discrete graphics processing unit (GPU) market. AMD's campus in Markham, Ontario, Canada, formerly ATI headquarters, now known as AMD Markham. Advanced Micro Devices was formally incorporated on May 1, 1969, by Jerry Sanders, along with seven of his colleagues from Fairchild Semiconductor. Sanders, an electrical engineer who was the director of marketing at Fairchild, had, like many Fairchild executives, grown frustrated with the increasing lack of support, opportunity, and flexibility within the company, and decided to leave to start his own semiconductor company. The previous year Robert Noyce, who had invented the first practical integrated circuit or the microchip in 1959 at Fairchild, had left Fairchild together with Gordon Moore and founded the semiconductor company Intel in July 1968. 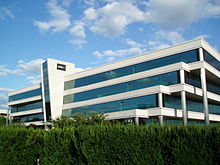 In September 1969, AMD moved from its temporary location in Santa Clara to Sunnyvale, California. To immediately secure a customer base, AMD initially became a second source supplier of microchips designed by Fairchild and National Semiconductor. AMD first focused on producing logic chips. The company guaranteed quality control to United States Military Standard, an advantage in the early computer industry since unreliability in microchips was a distinct problem that customers – including computer manufacturers, the telecommunications industry, and instrument manufacturers – wanted to avoid. In November 1969, the company manufactured its first product, the Am9300, a 4-bit MSI shift register, which began selling in 1970. Also in 1970, AMD produced its first proprietary product, the Am2501 logic counter, which was highly successful. Its best-selling product in 1971 was the Am2505, the fastest multiplier available. In 1971, AMD entered the RAM chip market, beginning with the Am3101, a 64-bit bipolar RAM. That year AMD also greatly increased the sales volume of its linear integrated circuits, and by year end the company's total annual sales reached $4.6 million. AMD went public in September 1972. The company was a second source for Intel MOS/LSI circuits by 1973, with products such as Am14/1506 and Am14/1507, dual 100-bit dynamic shift registers. By 1975, AMD was producing 212 products – of which 49 were proprietary, including the Am9102 (a static N-channel 1024-bit RAM) and three low-power Schottky MSI circuits: Am25LS07, Am25LS08, and Am25LS09. Intel had created the first microprocessor, its 4-bit 4004, in 1971. By 1975, AMD entered the microprocessor market with the Am9080, a reverse-engineered clone of the Intel 8080, and the Am2900 bit-slice microprocessor family. When Intel began installing microcode in its microprocessors in 1976, it entered into a cross-licensing agreement with AMD, granting AMD a copyright license to the microcode in its microprocessors and peripherals, effective October 1976. In 1977, AMD entered into a joint venture with Siemens, a German engineering conglomerate wishing to enhance its technology expertise and enter the U.S. market. Siemens purchased 20% of AMD's stock, giving AMD an infusion of cash to increase its product lines. That year the two companies also jointly established Advanced Micro Computers, located in Silicon Valley and in Germany, giving AMD an opportunity to enter the microcomputer development and manufacturing field, in particular based on AMD's second-source Zilog Z8000 microprocessors. When the two companies' vision for Advanced Micro Computers diverged, AMD bought out Siemens' stake in the U.S. division in 1979. AMD closed its Advanced Micro Computers subsidiary in late 1981, after switching focus to manufacturing second-source Intel x86 microprocessors. Total sales in fiscal year 1978 topped $100 million, and in 1979, AMD debuted on the New York Stock Exchange. In 1979, production also began in AMD's new semiconductor fab in Austin, Texas; the company already had overseas assembly facilities in Penang and Manila, and it began construction on a semiconductor fab in San Antonio in 1981. In 1980, AMD began supplying semiconductor products for telecommunications, an industry undergoing rapid expansion and innovation. Intel had introduced the first x86 microprocessors in 1978. In 1981, IBM created its PC, and wanted Intel's x86 processors, but only under the condition that Intel also provide a second-source manufacturer for its patented x86 microprocessors. Intel and AMD entered into a 10-year technology exchange agreement, first signed in October 1981 and formally executed in February 1982. The terms of the agreement were that each company could acquire the right to become a second-source manufacturer of semiconductor products developed by the other; that is, each party could "earn" the right to manufacture and sell a product developed by the other, if agreed to, by exchanging the manufacturing rights to a product of equivalent technical complexity. The technical information and licenses needed to make and sell a part would be exchanged for a royalty to the developing company. The 1982 agreement also extended the 1976 AMD–Intel cross-licensing agreement through 1995. The agreement included the right to invoke arbitration of disagreements, and after five years the right of either party to end the agreement with one year's notice. The main result of the 1982 agreement was that AMD became a second-source manufacturer of Intel's x86 microprocessors and related chips, and Intel provided AMD with database tapes for its 8086, 80186, and 80286 chips. Beginning in 1982, AMD began volume-producing second-source Intel-licensed 8086, 8088, 80186, and 80188 processors, and by 1984 its own Am286 clone of Intel's 80286 processor, for the rapidly growing market of IBM PCs and IBM clones. It also continued its successful concentration on proprietary bipolar chips. In 1983, it introduced INT.STD.1000, the highest manufacturing quality standard in the industry. 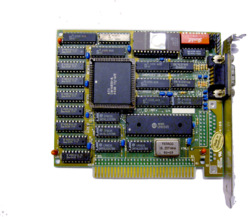 The company continued to spend greatly on research and development, and in addition to other breakthrough products, created the world's first 512K EPROM in 1984. That year AMD was listed in the book The 100 Best Companies to Work for in America, and based on 1984 income it made the Fortune 500 list for the first time in 1985. By mid-1985, however, the microchip market experienced a severe downturn, mainly due to long-term aggressive trade practices (dumping) from Japan, but also due to a crowded and non-innovative chip market in the U.S. AMD rode out the mid-1980s crisis by aggressively innovating and modernizing, devising the Liberty Chip program of designing and manufacturing one new chip or chip set per week for 52 weeks in fiscal year 1986, and by heavily lobbying the U.S. government until sanctions and restrictions were put in place to prevent predatory Japanese pricing. During this time period, AMD withdrew from the DRAM market, and at the same time made some headway into the CMOS market, which it had lagged in entering, having focused instead on bipolar chips. AMD had some success in the mid-1980s with the AMD7910 and AMD7911 "World Chip" FSK modem, one of the first multi-standard devices that covered both Bell and CCITT tones at up to 1200 baud half duplex or 300/300 full duplex. Beginning in 1986, AMD embraced the perceived shift toward RISC with their own AMD Am29000 (29k) processor; the 29k survived as an embedded processor. The company also increased its EPROM memory market share in the late 1980s. Throughout the 1980s, AMD was a second-source supplier of Intel x86 processors. In 1991, it introduced its own 386-compatible Am386, an AMD-designed chip. Creating its own chips, AMD began to compete directly with Intel. AMD had a large and successful flash memory business, even during the dotcom bust. In 2003, to divest some manufacturing and aid its overall cash flow, which was under duress from aggressive microprocessor competition from Intel, AMD spun off its flash memory business and manufacturing into Spansion, a joint venture with Fujitsu, which had been co-manufacturing flash memory with AMD since 1993. AMD divested itself of Spansion in December 2005, in order to focus on the microprocessor market, and Spansion went public in an IPO. AMD announced the acquisition of the graphics processor company ATI Technologies on July 24, 2006. AMD paid $4.3 billion in cash and 58 million shares of its stock, for a total of approximately $5.4 billion. The transaction completed on October 25, 2006. On August 30, 2010, AMD announced that it would retire the ATI brand name for its graphics chipsets in favor of the AMD brand name. In October 2008, AMD announced plans to spin off manufacturing operations in the form of a multibillion-dollar joint venture with Advanced Technology Investment Co., an investment company formed by the government of Abu Dhabi. The new venture is called GlobalFoundries Inc. The partnership and spin-off gave AMD an infusion of cash and allowed AMD to focus solely on chip design. To assure the Abu Dhabi investors of the new venture's success, CEO Hector Ruiz stepped down as CEO of AMD in July 2008, while remaining Executive Chairman, in preparation for becoming Chairman of Global Foundries in March 2009. President and COO Dirk Meyer became AMD's CEO. Recessionary losses necessitated AMD cutting 1,100 jobs in 2009. In August 2011, AMD announced that former Lenovo executive Rory Read would be joining the company as CEO, replacing Meyer. AMD announced in November 2011 plans to lay off more than 10% (1,400) of its employees from across all divisions worldwide. In October 2012, it announced plans to lay off an additional 15% of its workforce to reduce costs in the face of declining sales revenue. AMD acquired the low-power server manufacturer SeaMicro in early 2012, with an eye to bringing out an ARM architecture server chip. On October 8, 2014, AMD announced that Rory Read had stepped down after three years as president and chief executive officer. He was succeeded by Lisa Su, a key lieutenant who had been serving as chief operating officer since June. On October 16, 2014, AMD announced a new restructuring plan along with its Q3 results. Effective July 1, 2014, AMD reorganized into two business groups: Computing and Graphics, which primarily includes desktop and notebook processors and chipsets, discrete GPUs, and professional graphics; and Enterprise, Embedded and Semi-Custom, which primarily includes server and embedded processors, dense servers, semi-custom SoC products (including solutions for gaming consoles), engineering services, and royalties. As part of this restructuring, AMD announced that 7% of its global workforce would be laid off by the end of 2014. In February 1982, AMD signed a contract with Intel, becoming a licensed second-source manufacturer of 8086 and 8088 processors. IBM wanted to use the Intel 8088 in its IBM PC, but IBM's policy at the time was to require at least two sources for its chips. AMD later produced the Am286 under the same arrangement. In 1984, Intel, in order to shore up its advantage in the marketplace, internally decided to no longer cooperate with AMD in supplying product information, and delayed and eventually refused to convey the technical details of the Intel 80386 to AMD. In 1987, AMD invoked arbitration over the issue, and Intel reacted by cancelling the 1982 technological-exchange agreement altogether. After three years of testimony, AMD eventually won in arbitration in 1992, but Intel disputed this decision. Another long legal dispute followed, ending in 1994 when the Supreme Court of California sided with the arbitrator and AMD. In 1990, Intel also countersued AMD, renegotiating AMD's right to use derivatives of Intel's microcode for its cloned processors. In the face of uncertainty during the legal dispute, AMD was forced to develop clean-room designed versions of Intel code for its x386 and x486 processors, the former long after Intel had released its own x386 in 1985. In March 1991, AMD released the Am386, its clone of the Intel 386 processor. By October of the same year it had sold one million units. In 1993, AMD introduced the first of the Am486 family of processors, which proved popular with a large number of original equipment manufacturers, including Compaq, which signed an exclusive agreement using the Am486. Another Am486-based processor, the Am5x86, was released in November 1995 and continued AMD's success as a fast, cost-effective processor. Finally, in an agreement effective 1996, AMD received the rights to the microcode in Intel's x386 and x486 processor families, but not the rights to the microcode in the following generations of processors. AMD's first in-house x86 processor was the K5, which was launched in 1996. The "K" was a reference to Kryptonite. (In comic books, the only substance which could harm Superman was Kryptonite. This is a reference to Intel's hegemony over the market, i.e., an anthropomorphization of them as Superman.) The numeral "5" refers to the fifth generation of x86 processors; rival Intel had previously introduced its line of fifth-generation x86 processors as Pentium because the U.S. Trademark and Patent Office had ruled that mere numbers could not be trademarked. In 1996, AMD purchased NexGen, specifically for the rights to their Nx series of x86-compatible processors. AMD gave the NexGen design team their own building, left them alone, and gave them time and money to rework the Nx686. The result was the K6 processor, introduced in 1997. Although the K6 was based on Socket 7, variants such as K6-3/450 were faster than Intel's Pentium II (sixth-generation processor). The K7 was AMD's seventh-generation x86 processor, making its debut on June 23, 1999, under the brand name Athlon. Unlike previous AMD processors, it could not be used on the same motherboards as Intel's, due to licensing issues surrounding Intel's Slot 1 connector, and instead used a Slot A connector, referenced to the Alpha processor bus. The Duron was a lower-cost and limited version of the Athlon (64KB instead of 256KB L2 cache) in a 462-pin socketed PGA (socket A) or soldered directly onto the motherboard. Sempron was released as a lower-cost Athlon XP, replacing Duron in the socket A PGA era. It has since been migrated upward to all new sockets, up to AM3. On October 9, 2001, the Athlon XP was released. On February 10, 2003, the Athlon XP with 512KB L2 Cache was released. The K8 was a major revision of the K7 architecture, released in 2003, with the most notable features being the addition of a 64-bit extension to the x86 instruction set (called x86-64, AMD64, or x64), the incorporation of an on-chip memory controller, and the implementation of an extremely high performance point-to-point interconnect called HyperTransport, as part of the Direct Connect Architecture. The technology was initially launched as the Opteron server-oriented processor on April 22, 2003. Shortly thereafter it was incorporated into a product for desktop PCs, branded Athlon 64. On April 21, 2005, AMD released the first dual core Opteron, an x86-based server CPU. A month later, AMD released the Athlon 64 X2, the first desktop-based dual core processor family. In May 2007, AMD abandoned the string "64" in its dual-core desktop product branding, becoming Athlon X2, downplaying the significance of 64-bit computing in its processors. Further updates involved improvements to the microarchitecture, and a shift of target market from mainstream desktop systems to value dual-core desktop systems. In 2008, AMD started to release dual-core Sempron processors exclusively in China, branded as the Sempron 2000 series, with lower HyperTransport speed and smaller L2 cache. Thus AMD completed its dual-core product portfolio for each market segment. After K8 came K10. In September 2007, AMD released the first server Opteron K10 processors, followed in November by the Phenom processor for desktop. K10 processors came in dual-core, triple-core, and quad-core versions, with all cores on a single die. AMD released a new platform, codenamed "Spider", which utilized the new Phenom processor, as well as an R770 GPU and a 790 GX/FX chipset from the AMD 700 chipset series. However, AMD built the Spider at 65nm, which was uncompetitive with Intel's smaller and more power-efficient 45nm. In January 2009, AMD released a new processor line dubbed Phenom II, a refresh of the original Phenom built using the 45 nm process. AMD's new platform, codenamed "Dragon", utilized the new Phenom II processor, and an ATI R770 GPU from the R700 GPU family, as well as a 790 GX/FX chipset from the AMD 700 chipset series. The Phenom II came in dual-core, triple-core and quad-core variants, all using the same die, with cores disabled for the triple-core and dual-core versions. The Phenom II resolved issues that the original Phenom had, including a low clock speed, a small L3 cache and a Cool'n'Quiet bug that decreased performance. The Phenom II cost less but was not performance-competitive with Intel's mid-to-high-range Core 2 Quads. The Phenom II also enhanced its predecessor's memory controller, allowing it to use DDR3 in a new native socket AM3, while maintaining backwards compatibility with AM2+, the socket used for the Phenom, and allowing the use of the DDR2 memory that was used with the platform. In April 2010, AMD released a new Phenom II hexa-core (6-core) processor codenamed "Thuban". This was a totally new die based on the hexa-core "Istanbul" Opteron processor. It included AMD's "turbo core" technology, which allows the processor to automatically switch from 6 cores to 3 faster cores when more pure speed is needed. The Magny Cours and Lisbon server parts were released in 2010. The Magny Cours part came in 8 to 12 cores and the Lisbon part in 4 and 6 core parts. Magny Cours is focused on performance while the Lisbon part is focused on high performance per watt. Magny Cours is an MCM (multi-chip module) with two hexa-core "Istanbul" Opteron parts. This will use a new G34 socket for dual and quad socket processors and thus will be marketed as Opteron 61xx series processors. Lisbon uses C32 socket certified for dual socket use or single socket use only and thus will be marketed as Opteron 41xx processors. Both will be built on a 45 nm SOI process. Following AMD's 2006 acquisition of Canadian graphics company ATI Technologies, an initiative codenamed Fusion was announced to integrate a CPU and GPU together on some of AMD's microprocessors, including a built in PCI Express link to accommodate separate PCI Express peripherals, eliminating the northbridge chip from the motherboard. The initiative intended to move some of the processing originally done on the CPU (e.g. floating-point unit operations) to the GPU, which is better optimized for some calculations. The Fusion was later renamed to the AMD APU (Accelerated Processing Unit). Llano was AMD's first APU built for laptops. Llano was the second APU released, targeted at the mainstream market. Incorporating a CPU and GPU on the same die, as well as northbridge functions, and using "Socket FM1" with DDR3 memory. The CPU part of the processor was based on the Phenom II "Deneb" processor. AMD suffered an unexpected decrease in revenue based on production problems for the Llano. Bulldozer was AMD's microarchitecture codename for server and desktop AMD FX processors first released on October 12, 2011. This family 15h microarchitecture is the successor to the family 10h (K10) microarchitecture design. Bulldozer was a clean-sheet design, not a development of earlier processors. The core was specifically aimed at 10–125 W TDP computing products. AMD claimed dramatic performance-per-watt efficiency improvements in high-performance computing (HPC) applications with Bulldozer cores. While hopes were high that Bulldozer would bring AMD to be performance-competitive with Intel once more, most benchmarks were disappointing. In some cases the new Bulldozer products were slower than the K10 models they were built to replace. The Piledriver microarchitecture was the 2012 successor to Bulldozer, increasing clock speeds and performance relative to its predecessor. Piledriver would be released in AMD FX, APU, and Opteron product lines. Piledriver was subsequently followed by the Steamroller microarchitecture in 2013. Used exclusively in AMD's APUs, Steamroller focused on greater parallelism. In 2015, the Excavator microarchitecture replaced Piledriver. Expected to be the last microarchitecture of the Bulldozer series, Excavator focused on improved power efficiency. The Bobcat microarchitecture was revealed during a speech from AMD executive vice-president Henri Richard in Computex 2007 and was put into production Q1 2011. Based on the difficulty competing in the x86 market with a single core optimized for the 10–100 W range, AMD had developed a simpler core with a target range of 1–10 watts. In addition, it was believed that the core could migrate into the hand-held space if the power consumption can be reduced to less than 1 W.
Jaguar is a microarchitecture codename for Bobcat's successor, released in 2013, that is used in various APUs from AMD aimed at the low-power/low-cost market. Jaguar and its derivates would go on to be used in the custom APUs of the PlayStation 4, Xbox One, PlayStation 4 Pro, Xbox One S, and Xbox One X. Jaguar would be later followed by the Puma microarchitecture in 2014. In 2012, AMD announced it was working on an ARM architecture products, both as a semi-custom product and server product. The initial server product was announced at the Opteron A1100 in 2014, and 8-core Cortex-A57 based ARMv8-A SoC, and was expected to be followed by an APU incorporating a Graphic Core Next GPU. However, the Opteron A1100 was not released until 2016, with the delay attributed to adding software support. The A1100 was also criticed for not having support from major vendors upon its release. In 2014, AMD also announced the K12 custom core for release in 2016. While being ARMv8-A instruction set architecture compliant, the K12 is expected to be entirely custom designed targeting server, embedded, and semi-custom markets. While ARM architecture development continued, products based on K12 were subsequently delayed with no release planned, in preference to the development of AMD's x86 based Zen microarchitecture. Zen is a new architecture for x86-64 based Ryzen series CPUs and APUs, introduced in 2017 by AMD and built from the ground up by a team led by Jim Keller, beginning with his arrival in 2012, and taping out before his departure in September 2015. One of AMD's primary goals with Zen was an IPC increase of at least 40%, however in February 2017 AMD announced that they had actually achieved a 52% increase. Processors made on the Zen architecture are built on the 14 nm FinFET node and have a renewed focus on single-core performance and HSA compatibility. Previous processors from AMD were either built in the 32 nm process ("Bulldozer" and "Piledriver" CPUs) or the 28 nm process ("Steamroller" and "Excavator" APUs). Because of this, Zen is much more energy efficient. The Zen architecture is the first to encompass CPUs and APUs from AMD built for a single socket (Socket AM4). Also new for this architecture is the implementation of simultaneous multithreading (SMT) technology, something Intel has had for years on some of their processors with their proprietary Hyper-Threading implementation of SMT. This is a departure from the "Clustered MultiThreading" design introduced with the Bulldozer architecture. Zen also has support for DDR4 memory. AMD released the Zen-based high-end Ryzen 7 "Summit Ridge" series CPUs on March 2, 2017, mid-range Ryzen 5 series CPUs on April 11, 2017, and entry level Ryzen 3 series CPUs on July 27, 2017. AMD later released the Epyc line of Zen derived server processors for 1P and 2P systems. In October 2017, AMD released Zen based APUs as Ryzen Mobile, incorporating Vega graphics cores. In January 2018 AMD has announced their new lineup plans, with Ryzen 2. AMD launched CPUs with the 12nm Zen+ microarchitecture in April 2018. In early January 2018, it was reported that AMD processors are subject to the two variants of the security flaw dubbed Spectre. AMD originally acknowledged vulnerability to one of the Spectre variants (GPZ variant 1), but stated that vulnerability to another (GPZ variant 2) had not been demonstrated on AMD processors, claiming it posed a "near zero risk of exploitation" due to differences in AMD architecture. In an update nine days later, AMD said that "GPZ Variant 2...is applicable to AMD processors" and defined upcoming steps to mitigate the threat. Several sources took AMD's news of the vulnerability to GPZ variant 2 as a change from AMD's prior claim, though AMD maintained that their position had not changed. In March 2018, security flaws specific to AMD's Zen microarchitecture were announced, which exploited vulnerabilities in the chips' secure enclave and ASMedia designed chipset. The security risk posed by these exploits was initially unclear, as they required root access. By May 2018, AMD had delivered patches to partners mitigating all the vulnerabilities. AMD Radeon R9 290X video card. Lee Ka Lau, Francis Lau, Benny Lau, and Kwok Yuen Ho founded ATI in 1985 as Array Technology Inc. Working primarily in the OEM field, ATI produced integrated graphics cards for PC manufacturers such as IBM and Commodore. By 1987, ATI had grown into an independent graphics-card retailer, introducing EGA Wonder and VGA Wonder card product lines that year. In the early nineties they released products able to process graphics without the CPU: in May 1991, the Mach8, in 1992 the Mach32, which offered improved memory bandwidth and GUI acceleration. ATI Technologies Inc. went public in 1993, with stock listed on NASDAQ and on the Toronto Stock Exchange. ATI "Graphics Solution Rev 3" from 1985/1986, supporting Hercules graphics. As the PCB reveals, the layout dates from 1985, whereas the marking on the central chip CW16800-A says "8639" - meaning that chip was manufactured in week 39, 1986. This card uses the ISA 8-bit interface. 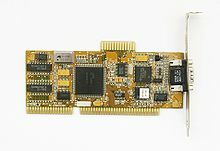 In 1994, the Mach64 accelerator debuted, powering the Graphics Xpression and Graphics Pro Turbo, offering hardware support for YUV-to-RGB color space conversion in addition to hardware zoom; early techniques of hardware-based video acceleration. ATI introduced its first combination of 2D and 3D accelerator under the name 3D Rage. This chip was based on the Mach 64, but it featured elemental 3D acceleration. The ATI Rage line powered almost the entire range of ATI graphics products. In particular, the Rage Pro was one of the first viable 2D-plus-3D alternatives to 3Dfx's 3D-only Voodoo chipset. 3D acceleration in the Rage line advanced from the basic functionality within the initial 3D Rage to a more advanced DirectX 6.0 accelerator in 1999 Rage 128. The All-in-Wonder product line introduced in 1996, was the first combination of integrated graphics chip with TV tuner card and the first chip that enabled to display computer graphics on a TV set. The cards featured 3D acceleration powered by ATI's 3D Rage II, 64-bit 2D performance, TV-quality video acceleration, analog video capture, TV tuner functionality, flicker-free TV-out and stereo TV audio reception. ATI entered the mobile computing sector by introducing 3D-graphics acceleration to laptops in 1996. The Mobility product line had to meet requirements different from those of desktop PCs, such as minimized power usage, reduced heat output, TMDS output capabilities for laptop screens, and maximized integration. In 1997, ATI acquired Tseng Labs's graphics assets, which included 40 engineers. The Radeon line of graphics products was unveiled in 2000. The initial Radeon graphics processing unit offered an all-new design with DirectX 7.0 3D acceleration, video acceleration, and 2D acceleration. Technology developed for a specific Radeon generation could be built in varying levels of features and performance in order to provide products suited for the entire market range, from high-end to budget to mobile versions. In 2000, ATI acquired ArtX, which engineered the Flipper graphics chip used in the Nintendo GameCube game console. They also created a modified version of the chip (codenamed Hollywood) for the successor of the GameCube, the Wii. Microsoft contracted ATI to design the graphics core (codenamed Xenos) for the Xbox 360. Later in 2005, ATI acquired Terayon's cable modem silicon intellectual property, strengthening their lead in the consumer digital television market. K. Y. Ho remained as Chairman of the Board until he retired in November 2005. Dave Orton replaced him as the President and CEO of the organization. On July 24, 2006, a joint announcement revealed that Advanced Micro Devices would acquire ATI in a deal valued at $5.6 billion. The acquisition consideration closed on October 25, 2006, and included over $2 billion financed from a loan and 56 million shares of AMD stock. ATI's operations became part of the AMD Graphics Product Group (GPG), and ATI's CEO Dave Orton became the Executive Vice President of Visual and Media Businesses at AMD until his resignation in 2007. The top-level management was reorganized with the Senior Vice President and General Manager, and the Senior Vice President and General Manager of Consumer Electronics Group, both of whom would report to the CEO of AMD. On 30 August 2010, John Trikola announced that AMD would retire the ATI brand for its graphics chipsets in favor of the AMD name. In 2008, the ATI division of AMD released the TeraScale microarchitecture implementing a unified shader model. This design replaced the previous fixed-function hardware of previous graphics cards with multipurpose, programmable shaders. Initially released as part of the GPU for the Xbox 360, this technology would go on to be used in Radeon branded HD 2000 parts. Three generations of TeraScale would be designed and used in parts from 2008-2014. In a 2009 restructuring, AMD merged the CPU and GPU divisions to support the companies APU's which fused both graphics and general purpose processing. In 2011, AMD released the successor to TeraScale, Graphics Core Next (GCN). This new microarchitecture emphasized GPGPU compute capability in addition to graphics processing, with a particular aim of supporting heterogeneous computing on AMD's APUs. GCN's reduced instruction set ISA allowed for significantly increased compute capability over TeraScale's very long instruction word ISA. Since GCN's introduction with the HD 7970, five generations of the GCN architecture have been produced from 2008 through at least 2017. In September 2015, AMD separated the graphics technology division of the company into an independent internal unit called the Radeon Technology Group (RTG) headed by Raja Koduri. This gave the graphics division of AMD autonomy in product design and marketing. The RTG then went on to create and release the Polaris and Vega microarchitectures released in 2016 and 2017, respectively. In particular the Vega, or 5th generation GCN, microarchitecture includes a number of major revisions to improve performance and compute capabilities. In 2012, AMD's then CEO Rory Read began a program to offer semi-custom designs. Rather than AMD simply designing and offering a single product, potential customers could work with AMD to design a custom chip based on AMD's intellectual property. Customers pay a non-recurring engineering fee for design and development, and a purchase price for the resulting semi-custom products. In particular, AMD noted their unique position of offering both x86 and graphics intellectual property. These semi-custom designs would have design wins as the APUs in the Playstation 4 and Xbox One and the subsequent PlayStation 4 Pro, Xbox One S, and Xbox One X. Financially, these semi-custom products would represent a majority of the company's revenue in 2016. In November 2017, AMD and Intel announced that Intel would market a product combining in a single package an Intel Core CPU, a semi-custom AMD Radeon GPU, and HBM2 memory. Before the launch of Athlon 64 processors in 2003, AMD designed chipsets for their processors spanning the K6 and K7 processor generations. The chipsets include the AMD-640, AMD-751 and the AMD-761 chipsets. The situation changed in 2003 with the release of Athlon 64 processors, and AMD chose not to further design its own chipsets for its desktop processors while opening the desktop platform to allow other firms to design chipsets. This was the "Open Platform Management Architecture" with ATI, VIA and SiS developing their own chipset for Athlon 64 processors and later Athlon 64 X2 and Athlon 64 FX processors, including the Quad FX platform chipset from Nvidia. The initiative went further with the release of Opteron server processors as AMD stopped the design of server chipsets in 2004 after releasing the AMD-8111 chipset, and again opened the server platform for firms to develop chipsets for Opteron processors. As of today, Nvidia and Broadcom are the sole designing firms of server chipsets for Opteron processors. As the company completed the acquisition of ATI Technologies in 2006, the firm gained the ATI design team for chipsets which previously designed the Radeon Xpress 200 and the Radeon Xpress 3200 chipsets. AMD then renamed the chipsets for AMD processors under AMD branding (for instance, the CrossFire Xpress 3200 chipset was renamed as AMD 580X CrossFire chipset). In February 2007, AMD announced the first AMD-branded chipset since 2004 with the release of the AMD 690G chipset (previously under the development codename RS690), targeted at mainstream IGP computing. It was the industry's first to implement a HDMI 1.2 port on motherboards, shipping for more than a million units. While ATI had aimed at releasing an Intel IGP chipset, the plan was scrapped and the inventories of Radeon Xpress 1250 (codenamed RS600, sold under ATI brand) was sold to two OEMs, Abit and ASRock. Although AMD stated the firm would still produce Intel chipsets, Intel had not granted the license of 1333 MHz FSB to ATI. On November 15, 2007, AMD announced a new chipset series portfolio, the AMD 7-Series chipsets, covering from enthusiast multi-graphics segment to value IGP segment, to replace the AMD 480/570/580 chipsets and AMD 690 series chipsets, marking AMD's first enthusiast multi-graphics chipset. Discrete graphics chipsets were launched on November 15, 2007, as part of the codenamed Spider desktop platform, and IGP chipsets were launched at a later time in spring 2008 as part of the codenamed Cartwheel platform. AMD returned to the server chipsets market with the AMD 800S series server chipsets. It includes support for up to six SATA 6.0 Gbit/s ports, the C6 power state, which is featured in Fusion processors and AHCI 1.2 with SATA FIS–based switching support. This is a chipset family supporting Phenom processors and Quad FX enthusiast platform (890FX), IGP(890GX). With the advent of AMD's APUs in 2011, traditional north bridge features such as the connection to graphics and the PCI Express controller were incorporated into the APU die. Accordingly, APUs were connected to as single chip chipset, renamed the Fusion Controller Hub (FCH), which primarily provided southbridge functionality. AMD released new chipsets in 2017 to support the release of their new Ryzen products. As the Zen microarchitecture already includes much of the northbridge connectivity, the AM4 based chipsets primarily varied in the number of additional PCI Express lanes, USB connections, and SATA connections available. These AM4 chipsets were designed in conjunction with ASMedia. In February 2002, AMD acquired Alchemy Semiconductor for its Alchemy line of MIPS processors for the hand-held and portable media player markets. On June 13, 2006, AMD officially announced that the line was to be transferred to Raza Microelectronics, Inc., a designer of MIPS processors for embedded applications. In August 2003, AMD also purchased the Geode business which was originally the Cyrix MediaGX from National Semiconductor to augment its existing line of embedded x86 processor products. During the second quarter of 2004, it launched new low-power Geode NX processors based on the K7 Thoroughbred architecture with speeds of fanless processors 667 MHz and 1 GHz, and 1.4 GHz processor with fan, of TDP 25 W. This technology is used in a variety of embedded systems (Casino slot machines and customer kiosks for instance), several UMPC designs in Asia markets, as well as the OLPC XO-1 computer, an inexpensive laptop computer intended to be distributed to children in developing countries around the world. The Geode LX processor was announced in 2005 and is said will continue to be available through 2015. AMD has also introduced 64-bit processors into its embedded product line starting with the AMD Opteron processor. Leveraging the high throughput enabled through HyperTransport and the Direct Connect Architecture these server class processors have been targeted at high-end telecom and storage applications. In 2007, AMD added the AMD Athlon, AMD Turion, and Mobile AMD Sempron processors to its embedded product line. Leveraging the same 64-bit instruction set and Direct Connect Architecture as the AMD Opteron but at lower power levels, these processors were well suited to a variety of traditional embedded applications. Throughout 2007 and into 2008, AMD has continued to add both single-core Mobile AMD Sempron and AMD Athlon processors and dual-core AMD Athlon X2 and AMD Turion processors to its embedded product line and now offers embedded 64-bit solutions starting with 8W TDP Mobile AMD Sempron and AMD Athlon processors for fan-less designs up to multi-processor systems leveraging multi-core AMD Opteron processors all supporting longer than standard availability. The ATI acquisition in 2006 included the Imageon and Xilleon product lines. In late 2008, the entire handheld division was sold off to Qualcomm, who have since produced the Adreno series. Also in 2008, the Xilleon division was sold to Broadcom. In April 2007, AMD announced the release of the M690T integrated graphics chipset for embedded designs. This enabled AMD to offer complete processor and chipset solutions targeted at embedded applications requiring high-performance 3D and video such as emerging digital signage, kiosk and Point of Sale applications. The M690T was followed by the M690E specifically for embedded applications which removed the TV output, which required Macrovision licensing for OEMs, and enabled native support for dual TMDS outputs, enabling dual independent DVI interfaces. In January 2011, AMD announced the AMD Embedded G-Series Accelerated Processing Unit. This was the first APU for embedded applications. These were followed by updates to the in 2013 and 2016. In May 2012, AMD Announced the AMD Embedded R-Series Accelerated Processing Unit. This family of products incorporates the Bulldozer CPU architecture, and Discrete-class Radeon HD 7000G Series graphics. This was followed by a system on a chip (SoC) version in 2015 which offered a faster CPU and faster graphics, with support for DDR4 SDRAM memory. AMD builds graphic processors for use in embedded systems. They can be found in anything from casinos to healthcare, with a large portion of products being used in industrial machines. These products include a complete graphics processing device in a compact multi-chip module including RAM and the GPU. ATI began offering embedded GPUs with the E2400 in 2008. Since that time AMD has released regular updates to their embedded GPU lineup in 2009, 2011, 2015, and 2016; reflecting improvements in their GPU technology. Radeon – brand for consumer line of graphics cards; the brand name originated with ATI. Mobility Radeon offers power-optimized versions of Radeon graphics chips for use in laptops. Radeon Pro – Workstation Graphics card brand. Successor to the FirePro brand. In 2011, AMD began selling Radeon branded DDR3 SDRAM to support the higher bandwidth needs of AMD's APUs. While the RAM is sold by AMD, it was manufactured by Patriot Memory and VisionTek. This was later followed by higher speeds of gaming oriented DDR3 memory in 2013. Radeon branded DDR4 SDRAM memory was released in 2015, despite no AMD CPUs or APUs supporting DDR4 at the time. AMD noted in 2017 that these products are "mostly distributed in Eastern Europe" and that it continues to be active in the business. AMD announced in 2014 it would sell Radeon branded solid-state drives manufactured by OCZ with capacities up to 480 GB and using the SATA interface. This was followed in 2016 by updated drives of up to 960 GB, with M.2/NVMe drives expected later. AMD Catalyst is a collection of proprietary device driver software available for Microsoft Windows and Linux. AMDGPU is AMD's open source device driver supporting the GCN architecture, available for Linux. AMD develops the AMD CodeXL tool suite which includes a GPU debugger, a GPU profiler, a CPU profiler and an OpenCL static kernel analyzer. CodeXL is freely available at AMD developer tools website. AMD has also taken an active part in developing coreboot, an open source project aimed at replacing the proprietary BIOS firmware. This cooperation ceased in 2013, but AMD has indicated recently that it is considering releasing source code so that Ryzen can be compatible with coreboot in the future. Other AMD software includes the AMD Core Math Library, and open-source software including the AMD Performance Library, and the CodeAnalyst performance profiler. AMD contributes to open source projects, including working with Sun Microsystems to enhance OpenSolaris and Sun xVM on the AMD platform. AMD also maintains its own Open64 compiler distribution and contributes its changes back to the community. In 2008, AMD released the low-level programming specifications for its GPUs, and works with the X.Org Foundation to develop drivers for AMD graphics cards. Extensions for software parallelism (xSP), aimed at speeding up programs to enable multi-threaded and multi-core processing, announced in Technology Analyst Day 2007. One of the initiatives being discussed since August 2007 is the Light Weight Profiling (LWP), providing internal hardware monitor with runtimes, to observe information about executing process and help the re-design of software to be optimized with multi-core and even multi-threaded programs. Another one is the extension of Streaming SIMD Extension (SSE) instruction set, the SSE5. Codenamed SIMFIRE – interoperability testing tool for the Desktop and mobile Architecture for System Hardware (DASH) open architecture. Previously, AMD produced its chips at company owned semiconductor foundries. AMD pursued a strategy of collaboration with other semiconductor manufacturers IBM and Motorola to co-develop production technologies. AMD's founder Jerry Sanders termed this the "Virtual Gorilla" strategy to compete with Intel's significantly greater investments in fabrication. In 2008, AMD spun off its chip foundries into an independent company named GlobalFoundries. This break-up of the company was attributed to the increasing costs of each process node. The Emirate of Abu Dhabi purchased the newly created company through its subsidiary Advanced Technology Investment Company (ATIC), purchasing the final stake from AMD in 2009. With the spin-off of its foundries, AMD became a fabless semiconductor manufacturer, designing products to be produced at for-hire foundries. Part of the GlobalFoundries spin-off included an agreement with AMD to produce some number of products at GlobalFoundries. Both prior to the spin-off and after AMD has pursued production with other foundries including TSMC and Samsung. It has been argued that this would reduce risk for AMD by decreasing dependence on any one foundry which has caused issues in the past. A partnership between AMD and Alpha Processor Inc. developed HyperTransport, a point-to-point interconnect standard which was turned over to an industry standards body for finalization. It is now used in modern motherboards that are compatible with AMD processors. AMD also formed a strategic partnership with IBM, under which AMD gained silicon on insulator (SOI) manufacturing technology, and detailed advice on 90 nm implementation. AMD announced that the partnership would extend to 2011 for 32 nm and 22 nm fabrication-related technologies. To facilitate processor distribution and sales, AMD is loosely partnered with end-user companies, such as HP, Dell, Asus, Acer, and Microsoft. In 1993, AMD established a 50–50 partnership with Fujitsu called FASL, and merged into a new company called FASL LLC in 2003. The joint venture went public under the name Spansion and ticker symbol SPSN in December 2005, with AMD shares drop to 37%. AMD no longer directly participates in the Flash memory devices market now as AMD entered into a non-competition agreement, as of December 21, 2005[update], with Fujitsu and Spansion, pursuant to which it agreed not to directly or indirectly engage in a business that manufactures or supplies standalone semiconductor devices (including single chip, multiple chip or system devices) containing only Flash memory. On May 18, 2006, Dell announced that it would roll out new servers based on AMD's Opteron chips by year's end, thus ending an exclusive relationship with Intel. In September 2006, Dell began offering AMD Athlon X2 chips in their desktop lineup. In June 2011, HP announced new business and consumer notebooks equipped with the latest versions of AMD APUs – accelerated processing units. AMD will power HP's Intel-based business notebooks as well. In the spring of 2013, AMD announced that it would be powering all three major next-generation consoles. The Xbox One and Sony PlayStation 4 are both powered by a custom-built AMD APU, and the Nintendo Wii U is powered by an AMD GPU. According to AMD, having their processors in all three of these consoles will greatly assist developers with cross-platform development to competing consoles and PCs as well as increased support for their products across the board. AMD has entered into an agreement with Hindustan Semiconductor Manufacturing Corporation (HSMC) for the production of AMD products in India. AMD is a founding member of the HSA Foundation which aims to ease the use of a Heterogeneous System Architecture. A Heterogeneous System Architecture is intended to use both central processing units and graphics processors to complete computational tasks. AMD announced in 2016 that it was creating a joint venture to produce x86 server chips for the Chinese market. AMD has a long history of litigation with former (and current) partner and x86 creator Intel. In 1986, Intel broke an agreement it had with AMD to allow them to produce Intel's micro-chips for IBM; AMD filed for arbitration in 1987 and the arbitrator decided in AMD's favor in 1992. Intel disputed this, and the case ended up in the Supreme Court of California. In 1994, that court upheld the arbitrator's decision and awarded damages for breach of contract. In 1990, Intel brought a copyright infringement action alleging illegal use of its 287 microcode. The case ended in 1994 with a jury finding for AMD and its right to use Intel's microcode in its microprocessors through the 486 generation. In 1997, Intel filed suit against AMD and Cyrix Corp. for misuse of the term MMX. AMD and Intel settled, with AMD acknowledging MMX as a trademark owned by Intel, and with Intel granting AMD rights to market the AMD K6 MMX processor. In 2005, following an investigation, the Japan Federal Trade Commission found Intel guilty on a number of violations. On June 27, 2005, AMD won an antitrust suit against Intel in Japan, and on the same day, AMD filed a broad antitrust complaint against Intel in the U.S. Federal District Court in Delaware. The complaint alleges systematic use of secret rebates, special discounts, threats, and other means used by Intel to lock AMD processors out of the global market. Since the start of this action, the court has issued subpoenas to major computer manufacturers including Acer, Dell, Lenovo, HP and Toshiba. In November 2009, Intel agreed to pay AMD $1.25bn and renew a five-year patent cross-licensing agreement as part of a deal to settle all outstanding legal disputes between them. On August 31, 2011, in Austin, Texas, AMD achieved a Guinness World Record for the "Highest frequency of a computer processor": 8.429 GHz. The company ran an 8-core FX-8150 processor with only one active module (two cores), and cooled with liquid helium. The previous record was 8.308 GHz, with an Intel Celeron 352 (one core). On November 1, 2011, geek.com reported that Andre Yang, an overclocker from Taiwan, used an FX-8150 to set another record: 8.461 GHz. On November 19, 2012, Andre Yang used an FX-8350 to set another record: 8.794 GHz. In its 2012 report on progress relating to conflict minerals, the Enough Project rated AMD the fifth most progressive of 24 consumer electronics companies. 50x15, digital inclusion, with targeted 50% of world population to be connected through Internet via affordable computers by the year of 2015. The Green Grid, founded by AMD together with other founders, such as IBM, Sun and Microsoft, to seek lower power consumption for grids. ^ a b "Products We Design". Archived from the original on March 1, 2017. Retrieved February 27, 2017. ^ a b c d e "AMD Reports Fourth Quarter and Annual 2018 Financial Results". www.amd.com. Retrieved January 29, 2019. ^ "Annual Report (Form 10-K)" (PDF). Retrieved March 29, 2019. ^ Lilly, Paul (May 6, 2011). "Nvidia Leads in Discrete Desktop GPU Market Share, AMD in Notebook Graphics". Maximum PC. Retrieved February 18, 2012. ^ The other founding members were Ed Turney, John Carey, Sven Simonsen, Jack Gifford and three members from Gifford's team: Frank Botte, Jim Giles, and Larry Stenger. ^ "Fairchild's Offspring". Business Week. August 25, 1997. p. 84. ^ Mueller, Scott. Upgrading and Repairing PCs. Que Publishing, 2013. p. 6. ^ Malone, Michael S. "Silicon Insider: AMD-Intel Feud Continues". ABC News. April 24, 2003. ^ a b c d Pederson, Jay P. International Directory of Company Histories, Vol. 30. St. James Press, 2000. ^ a b c Singer, Graham. "The Rise and Fall of AMD". TechSpot. November 21, 2012. ^ Rodengen, pp. 35, 38, 41, 42. ^ a b c AMD Corporation. Silicon Valley Historical Association. 2008. ^ Rodengen, pp. 36, 38. ^ a b c Lojek, Bo. History of Semiconductor Engineering. Springer Science & Business Media, 2007. p. 220. ^ a b c d Our History. AMD.com. ^ a b Rodengen, p. 41. ^ Electronic Design, Volume 19, Part 3. Hayden Publishing Company, 1971. p. 227. ^ Rodengen, pp. 42, 43. ^ Walker, Rob. "Interview with W. Jerry Sanders". Silicon Genesis. Stanford University. October 18, 2002. ^ MOS/LSI Data Book. Advanced Micro Devices, 1980. pp. 5-1, 5-2, B-8. ^ Electrical Design News, Volume 19, Issues 13–24. Rogers Publishing Company, 1974. p. 86. ^ a b Rodengen, p. 55. ^ Venkata Ram, S.K. Advanced Microprocessor & Microcontrollers. Firewall Media, 2004. p. 3. ^ Transcript: Silicon Valley (documentary). American Experience. PBS. 2013. ^ "Interview with Shawn and Kim Hailey". Stanford University Libraries. December 29, 1997. Retrieved October 20, 2014. ^ a b Rodengen, p. 50. ^ Hitt, Michael; Ireland, R. Duane; Hoskisson, Robert. Strategic Management: Competitiveness and Globalization, Cases, Volume 2. Cengage Learning, 2008. p. 41. ^ Lennon, Michael J. Drafting Technology Patent License Agreements. Aspen Publishers Online, 2007. p. 4-36. ^ Pane, Patricia J. and Barbara Darrow. "AMD Asserts Right to Distribute Intel Code". InfoWorld. October 1, 1990. p. 5. ^ a b c d Advanced Micro Devices, Inc. v. Intel Corp. (1994). No. S033874. December 30, 1994. Justia.com. Accessed October 25, 2014. ^ a b c Malerba, Franco. The Semiconductor Business: The Economics of Rapid Growth and Decline. University of Wisconsin Press, 1985. p. 166. ^ Reindustrialization Or New Industrialization: Minutes of a Symposium, January 13, 1981, Part 3. National Academies, 1981. p. 53. ^ a b Rodengen, p. 60. ^ ADVANCED MICRO COMPUTERS, INC. Archived November 4, 2014, at the Wayback Machine. CaliforniaFirm.us. ^ ADVANCED MICRO COMPUTERS, INC. Archived November 4, 2014, at the Wayback Machine. CaliforniaCompaniesList.com. ^ a b Freiberger, Paul. "AMD sued for alleged misuse of subsidiary's secrets". InfoWorld. June 20, 1983. p. 28. ^ Mini-micro Systems, Volume 15. Cahners Publishing Company, 1982. p. 286. ^ "Siemens and Advanced Micro Devices Agree to Split Joint Venture". Wall Street Journal. February 14, 1979. p. 38. ^ a b Swaine, Michael. "Eight Companies to produce the 8086 chip". InfoWorld. November 30, 1981. p. 78. ^ a b c d e f Hitt, Michael; Ireland, R. Duane; Hoskisson, Robert. Strategic Management: Concepts and Cases. Cengage Learning, 2006. p. C-26. ^ Rodengen, pp. 65, 71–72, 79–80. ^ Sanchez, Julio and Maria P. Canton. Software Solutions for Engineers and Scientists. CRC Press, 2007. p. 95. ^ Ziberg, Christian. "Timeline: How AMD changed over the past 39 years". TGDaily. October 7, 2008. ^ International Directory of Company Histories. 1992. ^ Rodengen, pp. 73, 78–80. ^ Levering, Robert; Moskowitz, Milton; Katz, Michael. The 100 Best Companies to Work for in America. Addison-Wesley, 1984. ^ 1985 Full list. Fortune 500. Fortune archive. ^ Rodengen, pp. 86, 90, 95, 99. ^ Rodengen, pp. 87–88, 97–99. ^ Computer Design, Volume 25, Issues 13–22. Computer Design Publishing Corporation, 1986. p. 14. ^ Pflanz, Matthias. On-line Error Detection and Fast Recover Techniques for Dependable Embedded Processors. Springer Science & Business Media, 2002. p. 23. ^ AMD. PC Encyclopedia. PC Magazine. ^ Spooner, John G. "AMD, Fujitsu merge on flash memory". CNET. July 14, 2003. ^ Yi, Matthew. "Spansion spun off by AMD". San Francisco Chronicle. December 17, 2005. ^ "AMD Completes ATI Acquisition and Creates Processing Powerhouse". NewsWire. October 25, 2006. Archived from the original on October 12, 2007. ^ "AMD Decides to Drop the ATI Brand – Softpedia". News.softpedia.com. Retrieved February 19, 2011. ^ "ATI to be re-branded as AMD – branding, ATI Radeon, ati, amd – ARN". Arnnet.com.au. August 30, 2010. Retrieved February 19, 2011. ^ Vance, Ashlee (October 7, 2008). "A.M.D. to Split Into Two Operations". The New York Times. Retrieved March 26, 2010. ^ Gruener, Wolfgang. "AMD’s fabs now on their own: GlobalFoundries" Archived December 21, 2014, at the Wayback Machine. TG Daily. March 4, 2009. ^ "At a glance: AMD's new CEO Dirk Meyer". Associated Press. July 17, 2008. ^ Kawamoto, Dawn. "AMD to trim 1,100 jobs, initiate temporary pay cuts". CNet. January 16, 2009. ^ Dylan McGrath, EE Times. "Former IBM, Lenovo exec takes the helm at AMD". August 25, 2011. Retrieved August 25, 2011. ^ O'Gara. Maureen. "AMD to Fire 1,400" Archived December 21, 2014, at the Wayback Machine. Virtualization Journal. November 7, 2011. ^ "Advanced Micro Devices CEO Rory Read Steps Down". wsj.com. October 8, 2014. Retrieved October 8, 2014. ^ AMD Reports 2014 Third Quarter Results. AMD. October 16, 2014. Accessed October 20, 2014. ^ Greg Tang (February 13, 2011). "Intel and the x86 Architecture: A Legal Perspective". JOLT Digest. Archived from the original on June 7, 2011. ^ "Advanced Micro Devices, Inc. v. Intel Corp. (1994)". Justia Law. Retrieved August 6, 2015. ^ "Strategic Management: Concepts and Cases". Retrieved August 6, 2015. ^ "cpu-collection.de >> AMD >> 486 DX". Retrieved August 6, 2015. ^ "Upgrading and Repairing PCs". Retrieved August 6, 2015. ^ "InfoWorld". Retrieved August 6, 2015. ^ "AMD K5". CPU-INFO.COM. Archived from the original on August 18, 2007. Retrieved July 11, 2007. ^ Hesseldahl, Arik (July 6, 2000). "Why Cool Chip Code Names Die". Forbes Inc. Retrieved July 14, 2007. ^ Colapinto, John (October 3, 2011). "Famous names". The New Yorker. pp. 38–43. Retrieved October 12, 2011. ^ Huynh, Jack (February 10, 2003). "The AMD Athlon XP Processor with 512KB L2 Cache" (PDF). amd.com. AMD. Archived (PDF) from the original on October 26, 2007. Retrieved October 2, 2007. ^ Scott Wasson. "Workstation platforms compared", techreport.com, The Tech Report, LLC., September 15, 2003, Retrieved on July 29, 2007. ^ Scott Wasson. "AMD's Athlon 64 processor", techreport.com, The Tech Report, LLC., September 23, 2003. Retrieved on July 29, 2007. ^ Scott Wasson. "AMD's dual-core Opteron processors", techreport.com, The Tech Report, LLC., April 21, 2005. Retrieved on July 29, 2007. ^ Scott Wasson. "AMD's Athlon 64 X2 processors", techreport.com, The Tech Report, LLC., May 9, 2005. Retrieved on July 29, 2007. ^ "AMD to launch two Barcelona-based processors in September". tgdaily.com. August 13, 2007. Archived from the original on October 16, 2007. ^ AMD announcement. Retrieved September 17, 2007. ^ Marco Chiappetta (November 19, 2007). "AMD Spider Platform - Phenom, 790FX, RV670". HotHardware. ^ Walrath, Josh (April 27, 2010). "AMD Phenom II X6 1090T 6-core Thuban Processor Review". PC Perspective. Retrieved July 11, 2017. ^ "AMD announces 16-core chips". Retrieved March 31, 2010. ^ a b Stokes, Jon (February 8, 2010). "AMD reveals Fusion CPU+GPU, to challenge Intel in laptops". Ars Technica. Archived from the original on February 10, 2010. Retrieved February 9, 2010. ^ a b Hruska, Joel (July 16, 2010). "AMD Flip-Flops: Llano Later, Bobcat Bounding Forward". HotHardware. ^ Jeffrey Burt, eWeek. "AMD Cuts Q3 Forecast Due to Chip Manufacturing Problems". September 28, 2011. Retrieved October 7, 2011. More AMD APUs for laptops running Windows 7 and Windows 8 OS are being used commonly. These include AMD's price-point APUs, the E1 and E2, and their mainstream competitors with Intel's core i-series: The Vision A- series, the A standing for accelerated. These range from the lower-performance A4 chipset to the A6, A8, and A10. These all incorporate Next-generation Radeon graphics cards, with the A4 utilizing the base Radeon HD chip and the rest using a Radeon R4 graphics card, with the exception of the highest-model A10 (A10-7300) which uses an R6 graphics card. ^ "Can AMD survive Bulldozer's disappointing debut?". ars technica. October 20, 2011. Retrieved November 30, 2013. ^ Hruska, Joel. "AMD's FX-8350 analyzed: Does Piledriver deliver where Bulldozer fell short?". ExtremeTech. Retrieved March 23, 2013. ^ "AMD launches widely anticipated "Trinity" APU". Press release. AMD. May 15, 2012. Retrieved January 16, 2014. ^ "New AMD A-Series Processors Bring Faster Speeds, High Core Count and AMD Radeon HD 7000 Series Graphics to Do-It-Yourself PC Enthusiasts and Gamers". AMD. Retrieved March 22, 2013. ^ "New AMD FX Line-Up Brings Faster Speeds and Higher Performance Core over Previous Generation to PC Enthusiasts and Gamers". AMD. Retrieved March 22, 2013. ^ "New AMD Opteron 4300 and 3300 Series Processors Deliver Ideal Performance, Power and Price for Cloud Applications". Press release. AMD. December 4, 2012. Retrieved January 16, 2014. ^ "AMD Kaveri Review: A8-7600 and A10-7850K Tested". Anandtech.com. January 14, 2014. Retrieved February 8, 2014. ^ Su, Lisa (February 2, 2012). "Consumerization, Cloud, Convergence" (PDF). AMD 2012 Financial Analyst Day. Sunnyvale, California: Advanced Micro Devices. p. 26. Retrieved February 4, 2012. ^ Hachman, Mark (November 21, 2014). "AMD reveals high-end 'Carrizo' APU, the first chip to fully embrace audacious HSA tech". PCWorld. Retrieved January 15, 2015. ^ "AMD hints at high-performance Zen x86 architecture - bit-tech.net". ^ Shilov, Anton (May 10, 2014). "AMD to Introduce New High-Performance Micro-Architecture in 2015 – Report". Archived from the original on May 13, 2014. Retrieved May 22, 2014. ^ "AMD Explains Advantages of High Density (Thin) Libraries". August 28, 2012. ^ Stokes, Jon (August 26, 2010). "AMD's Bobcat mobile architecture will play it straight". Ars Technica. Retrieved July 11, 2017. ^ Kirsch, Nathan (August 6, 2007). "AMD and Intel Rivalry Moves to Hand-Held Market". Legit Reviews. Retrieved July 11, 2017. ^ Woligroski, Don (May 23, 2013). "AMD's Kabini: Jaguar And GCN Come Together In A 15 W APU". Tom's Hardware. Retrieved July 11, 2017. ^ "A Look at Sony's Playstation 4 Core Processor". ChipWorks. November 15, 2013. Archived from the original on November 16, 2013. Retrieved November 16, 2013. ^ Taylor, John (February 21, 2013). "AMD and The Sony PS4. Allow Me To Elaborate". Archived from the original on May 26, 2013. Retrieved February 25, 2013. ^ Cunningham, Andrew (September 3, 2013). "Xbox One gets a CPU speed boost to go with its faster GPU". Ars Technica. Condé Nast. Retrieved September 4, 2013. ^ Shimpi, Anand Lal (May 23, 2013). "AMD's Jaguar Architecture: The CPU Powering Xbox One, PlayStation 4, Kabini & Temash". AnandTech. Purch Group. Retrieved June 24, 2013. ^ Walton, Mark (August 10, 2016). "PS4 Neo: Sony confirms PlayStation event for September 7". Ars Technica. Retrieved August 10, 2016. ^ Walton, Mark (April 19, 2016). "Sony PS4K is codenamed NEO, features upgraded CPU, GPU, RAM—report". Ars Technica. Retrieved August 10, 2016. ^ a b Smith, Ryan (September 8, 2016). "Analyzing Sony's Playstation 4 Pro Hardware Reveal: What Lies Beneath". Anandtech. Retrieved September 8, 2016. ^ MACHKOVECH, SAM (August 2, 2016). "Microsoft hid performance boosts for old games in Xbox One S, told no one". Ars Technica. Retrieved August 2, 2016. ^ Smith, Ryan. "Microsoft's Project Scorpio Gets a Launch Date: Xbox One X, $499, November 7th". ^ a b "Xbox One Project Scorpio specs: 12GB GDDR5, 6 teraflops, native 4K at 60FPS". ^ Lal Shimpi, Anand (April 29, 2014). "AMD Beema/Mullins Architecture & Performance Preveiw". Anandtech. Retrieved April 17, 2017. ^ Shimpi, Anand Lal (February 2, 2012). "AMD is Ambidextrous, Not Married to Any One Architecture, ARM in the Datacenter". Anandtech. Retrieved July 11, 2017. ^ Shimpi, Anand Lal (February 2, 2012). "AMD: Flexible Around ISA". Anandtech. Retrieved July 11, 2017. ^ Shimpi, Anand Lal (October 29, 2012). "AMD will build 64-bit ARM based Opteron CPUs for Servers, Production in 2014". Anandtech. Retrieved July 11, 2017. ^ Shimpi, Anand Lal (January 28, 2014). "It Begins: AMD Announces Its First ARM Based Server SoC, 64-bit/8-core Opteron A1100". Anandtech. Retrieved July 11, 2017. ^ Barrett, Stephen (August 11, 2014). "AMD's Big Bet on ARM Powered Servers: Opteron A1100 Revealed". Anandtech. Retrieved July 11, 2017. ^ Shimpi, Anand Lal (May 5, 2014). "AMD Announces Project Skybridge". Anandtech. Retrieved July 11, 2017. ^ a b De Gelas, Johan (January 14, 2016). "The Silver Lining of the Late AMD Opteron A1100 Arrival". Anandtech. Retrieved July 11, 2017. ^ Kennedy, Patrick (July 5, 2017). "Most Impressive Part of the AMD EPYC Launch: The Ecosystem". Serve The Home. Retrieved July 11, 2017. ^ Kennedy, Patrick (January 14, 2016). "The AMD Opteron A1100 – An Editorial". Serve the Home. Retrieved July 11, 2017. ^ Shimpi, Anand Lal (May 5, 2014). "AMD Announces K12 Core". Anandtech. Retrieved July 11, 2017. ^ Smith, Ryan (May 5, 2015). "AMD's K12 ARM CPU Now In 2017". Anandtech. Retrieved July 11, 2017. ^ Cutress, Ian (January 24, 2018). "Getting Radeon Vega Everywhere". Anandtech. Retrieved January 31, 2018. ^ Cutress, Ian. "AMD Launches Ryzen: 52% More IPC, Eight Cores for Under $330, Pre-order Today, On Sale March 2nd". Retrieved March 5, 2017. ^ "AMD's Next Gen x86 High Performance Core is Ryzen – Will Debut Alongside K12 in 2016". WCCFtech. Retrieved August 6, 2015. ^ "Ryzen | AMD". www.amd.com. Retrieved March 3, 2017. ^ "AMD confirms Ryzen and Vega launch windows". PC Gamer. February 1, 2017. Retrieved February 4, 2017. ^ Kampman, Jeff (May 16, 2017). "AMD's Naples datacenter CPUs will make an Epyc splash". Tech Report. Retrieved May 16, 2017. ^ Cutress, Ian (October 26, 2017). "Ryzen Mobile is Launched". Anandtech. Retrieved October 26, 2017. ^ "2nd Generation AMD Ryzen™ Desktop Processors Deliver Best-in-Class Compute Performance and Even Faster Gaming Framerates than Previous Generation". Advanced Micro Devices. Retrieved February 11, 2019. ^ "An Update on AMD Processor Security". Advanced Micro Devices. 2018. Archived from the original on January 4, 2018. Retrieved January 4, 2018. ^ Novet, Jordan (January 11, 2018). "AMD stock drops 3 percent after the company says its chips are affected by security flaw". CNBC. Retrieved April 7, 2018. ^ "AMD Chips Vulnerable to Both Variants of Spectre Security Flaw". Fortune. Retrieved April 7, 2018. ^ Goodin, Dan (March 13, 2018). "A raft of flaws in AMD chips makes bad hacks much, much worse". Ars Technica. Retrieved March 13, 2018. ^ Mott, Nathanial (May 2, 2018). "AMD Ships Vulnerability Patches To Ecosystem Partners". Tom's Hardware. Retrieved May 24, 2018. ^ University of Toronto Division of University Advancement page Archived December 10, 2008, at the Wayback Machine. Retrieved February 28, 2008. ^ "K.Y. Ho biography on ATI website". Ati.com. February 7, 2011. Retrieved February 19, 2011. ^ "The Information Technology 100: 90: ATI Technologies". BusinessWeek. BusinessWeek. 2005. Retrieved August 19, 2014. The company was incorporated in August 1985 as Array Technology Inc. and changed its name to Array Technologies Inc. in September 1985. Further, it changed its name to ATI Technologies Inc. in December 1985. ^ "AMD 2008 10-K SEC Filling. Pg 105". U.S. Securities and Exchange Commission. February 24, 2009. Retrieved November 26, 2011. ^ "Press Release". Ir.ati.com. Retrieved February 19, 2011. ^ "AMD page". Amd.com. February 10, 2011. Retrieved February 19, 2011. ^ "AMD 2007 Analyst Day page". Amd.com. Retrieved February 19, 2011. ^ "AMD 2006 December Analyst Day page". Amd.com. Retrieved February 19, 2011. ^ "Corporate Information – Executive Biographies at". Amd.com. February 14, 2011. Retrieved February 19, 2011. ^ Duncan, Geoff (May 7, 2009). "AMD RESTRUCTURES TO COMBINE GRAPHICS AND CHIP UNITS". Digital Trends. Retrieved July 10, 2017. ^ Musil, Steven (May 7, 2009). "AMD reorg merges microprocessor, graphics units". CNet. Retrieved July 10, 2017. ^ Smith, Ryan (December 21, 2011). "AMD's Graphics Core Next Preview". Anandtech. Retrieved July 11, 2017. ^ Smith, Ryan (December 22, 2011). "AMD Radeon HD 7970 Review". Anandtech. Retrieved July 11, 2017. ^ Higginbotham, Stacey (September 9, 2015). "AMD splits out its graphics chips into the Radeon Technology Group". Fortune. Retrieved July 10, 2017. ^ Takahashi, Dean (September 14, 2016). "AMD celebrates a year of its revamped Radeon Technologies Group". VentureBeat. Retrieved July 10, 2017. ^ Moorehead, Patrich (November 12, 2015). "Advanced Micro Devices's Head Of Radeon Technologies Group, Raja Koduri, Talks About Their Future". Forbes. Retrieved July 10, 2017. ^ Smith, Ryan (June 29, 2016). "The AMD Radeon RX 480 Preview". Anandtech. Retrieved July 10, 2017. ^ Smith, Ryan (January 5, 2017). "The AMD Vega GPU Architecture Preview". Anandtech. Retrieved July 10, 2017. ^ Smith, Ryan (January 5, 2017). "The AMD Vega GPU Architecture Preview". Anandtech. Retrieved July 11, 2017. ^ Smith, Ryan; Oh, Nate (August 14, 2017). "The AMD RX Vega 64 & RX Vega 56 Review: Vega Burning Bright". Anandtech.com. Retrieved August 16, 2017. ^ Shimpi, Anand Lal (February 2, 2012). "Understand AMD's Roadmap & New Direction". Anandtech. Retrieved July 10, 2017. ^ Shimpi, Anand Lal (September 5, 2013). "Understanding AMD's Semi-Custom Strategy". Anandtech. Retrieved July 10, 2017. ^ Shimpi, Anand Lal (May 21, 2013). "The Xbox One: Hardware Analysis & Comparison to PlayStation 4". AnandTech. Retrieved May 22, 2013. ^ Howse, Brett (October 20, 2016). "AMD Announces Q3 2016 Financial Results". Anandtech. Retrieved July 10, 2017. ^ Team, Trefis (September 14, 2016). "AMD's Embedded and Semi-Custom Revenues To Generate High Growth In The Next 5 Years?". Forbes. Retrieved July 10, 2017. ^ Kampman, Jeff (November 6, 2017). "Intel brings a Core CPU and Radeon GPU together on one package". Tech Report. Retrieved November 7, 2017. ^ Wasson, Scott (June 22, 2011). "AMD's A8-3500M Fusion APU". Tech Report. Retrieved July 10, 2017. ^ Justin, Michael; Sexton, Allen (March 3, 2017). "AMD's AM4 Ryzen Chipsets". Tom's Hardware. Retrieved March 3, 2017. ^ Cutress, Ian (March 2, 2017). "Making AMD Tick: A Very Zen Interview it Dr. Lisa Su, CEO". Anandtech.com. Retrieved March 2, 2017. ^ Lammers, David (January 29, 2002). "AMD to buy MIPS processor startup Alchemy". EE Times. Retrieved July 11, 2017. ^ "AMD Alchemy processor product line acquired by Raza Microelectronics". TechNews. technologynewsdaily.com. June 14, 2006. Archived from the original on January 2, 2007. Retrieved July 11, 2007. ^ Shah, Agam (January 26, 2009). "AMD Sees No Geode Chip Replacement in Sight". PC World. Retrieved July 11, 2017. ^ Paul, Ryan (March 5, 2007). "A comparison of OLPC's XO laptop and Intel's Classmate PC". Ars Technica. Retrieved July 11, 2017. ^ AMD Embedded Solutions that are scalable, x86- based, low-power and feature-rich products. Amd.com (November 5, 2010). Retrieved on November 9, 2010. ^ Ferguson, Scott (January 20, 2009). "AMD Sells Handset Division to Qualcomm for $65 million". eWeek. Retrieved June 6, 2014. ^ Ganesh, TS (January 19, 2011). "AMD G-Series Brings x86 to the Embedded Market". Anandtech. Retrieved July 11, 2017. ^ Melanson, Donald (January 19, 2011). "AMD announces Fusion-based Embedded G-Series platform". Engadget. Retrieved July 11, 2017. ^ Sakr, Sarif (April 23, 2013). "AMD reveals G-Series X embedded chips, drops a little ARM-powered bombshell". Engadget. Retrieved July 11, 2017. ^ Ryan, Thomas (February 23, 2016). "AMD Launches Three New Embedded G-Series SoC Families". SemiAccurate. Retrieved July 11, 2017. ^ "AMD Embedded R-Series Platform". AMD. amd.com. July 10, 2012. Retrieved July 10, 2012. ^ Cutress, Ian (October 21, 2015). "AMD Launches Excavator Based R-Series APUs for Embedded with DDR4". Anandtech. Retrieved July 11, 2017. ^ Brown, Eric (October 21, 2015). "AMD R-Series system-on-chips dip to 12 Watts, support DDR4". Linux Gizmos. Retrieved July 11, 2017. ^ a b Smith, Ryan (May 2, 2011). "AMD Launches E6760: The Next Embedded Radeon". Anandtech. Retrieved July 11, 2017. ^ Hodgin, Rick (July 1, 2009). "AMD releases ATI Radeon E4690 embedded GPU with 3x better performance". Geek.com. Retrieved July 11, 2017. ^ Smith, Ryan (October 1, 2015). "AMD Updates Embedded Radeon GPU Line". Anandtech. Retrieved July 11, 2017. ^ Smith, Ryan (September 27, 2016). "AMD Announces Embedded Radeon EE9260 & E9550 - Polaris for Embedded Markets". Anandtech. Retrieved July 11, 2017. ^ Walton, Jarred (November 28, 2011). "Introducing AMD's Brand Memory". Anandtech. Retrieved July 11, 2017. ^ Smith, Ryan (May 8, 2013). "AMD Releases New Radeon Memory SKU". Anandtech. Retrieved July 11, 2017. ^ Shilov, Anton (October 5, 2015). "AMD begins to sell DDR4 memory modules for Intel and next-gen platforms". KitGuru. Retrieved July 11, 2017. ^ Shah, Agam (March 16, 2017). "AMD's Radeon memory business is slowing down". PC World. Retrieved July 11, 2017. ^ Hachman, Mark (August 28, 2014). "AMD announces Radeon R7 SSD product line, made by enthusiast manufacturer OCZ". PC World. Retrieved July 11, 2017. ^ Shah, Agam (May 4, 2016). "AMD gets back into SSDs with value Radeon R3 drives". PC World. Retrieved July 11, 2017. ^ Shilov, Anton (May 16, 2016). "AMD Changes SSD Strategy". Anandtech. Retrieved July 11, 2017. ^ "APP SDK – A Complete Development Platform – AMD". AMD. Archived from the original on July 1, 2014. Retrieved August 6, 2015. ^ "Freie Firmware: AMD prüft Coreboot-Support für Ryzen - Golem.de". ^ "AMD Expands Charter for the OpenSolaris OS and Sun xVM at the AMD Operating System Research Center" (Press release). AMD. May 5, 2008. Archived from the original on January 16, 2009. ^ "x86 Open64 Compiler Suite". AMD. July 28, 2015. Archived from the original on November 13, 2013. ^ "AMD Details Strategic Open Source Graphics Driver Development Initiative" (Press release). AMD. September 7, 2007. ^ "Index of /docs/AMD". x.org. ^ a b Kanellos, Michael (July 30, 1998). "Motorola Ready to Make AMD Chips". CNet. Retrieved July 10, 2017. ^ a b Reuters (September 9, 2003). "IBM, AMD team up in microprocessor market". IT Web. Retrieved July 10, 2017. ^ a b Magee, Mike (May 4, 2000). "AMD now a virtual gorilla – Sanders". The Register. Retrieved July 10, 2017. ^ Smith, Ryan (October 7, 2008). "The Business of Tech: Breaking Up is Hard to do- AMD goes Fabless". Anandtech. Retrieved July 10, 2017. ^ Shimpi, Anand Lal. "GlobalFoundries Granted Independence, Acquires Remaining Stake from AMD". AnandTech. Retrieved December 8, 2012. ^ Smith, Ryan (September 1, 2016). "AMD Amends GlobalFoundries Wafter Supply Agreement Through 2020, Gaining New Flexibility and New Costs". Anandtech. Retrieved July 10, 2017. ^ Nystedt, Dan (May 22, 2007). "AMD Cozies up to Contract Chip Maker TSMC". ABC News. Retrieved July 10, 2017. ^ a b Moorhead, Patrick (July 25, 2016). "AMD Officially Diversifies 14nm Manufacturing With Samsung". Forbes. Retrieved July 26, 2016. ^ Shah, Agam (October 28, 2011). "AMD records profit in Q3 despite manufacturing issues". ARN. Retrieved July 10, 2017. ^ Spooner, John G (March 2, 2002). "Promoter of storied Alpha to shut doors". CNet. Retrieved July 10, 2017. ^ Kennedy, Patrick (July 5, 2017). "Most Impressive Part of the AMD EPYC Launch: The Ecosystem". Serve the Home. Retrieved July 10, 2017. ^ Vance, Ashlee (May 18, 2006). "Dell hooks up with AMD". The Register. Retrieved July 10, 2017. ^ Rik Myslewski, ChannelRegister. "Intel, AMD in HP notebook smackdown Which is faster? 'You tell me' says AMD". June 17, 2011. Retrieved June 20, 2011. ^ Poeter, Damon (May 21, 2013). "AMD Hits Game Console Trifecta With Xbox One | News & Opinion". PCMag.com. Retrieved June 14, 2013. ^ "AMD Game Console Triple Crown: Will There Be Profits?". Seeking Alpha. Retrieved June 14, 2013. ^ "AMD say "PC ports of next-generation console titles are likely to struggle" on Intel tech | News, Tech, Tech News". PC Gamer. June 7, 2013. Retrieved June 14, 2013. ^ PTI (April 13, 2016). "AMD plans to enter India in a big way, ties up with HSMC for chip manufacturing: Ravi Shankar Prasad". The Economic Times. Retrieved July 10, 2017. ^ Cutress, Ian (March 16, 2015). "HSA Foundation Launches 'HSA 1.0 Final'". Anandtech. Retrieved July 11, 2017. ^ Alcorn, Paul (July 6, 2018). "China Finds Zen: Begins Production Of x86 Processors Based On AMD's IP". Tom's Hardware. Retrieved July 9, 2018. ^ "AMD-INTEL LITIGATION HISTORY" (PDF). AMD. Archived (PDF) from the original on January 8, 2007. Retrieved January 12, 2007. ^ "Summary U.S. antitrust complaint against Intel [Dead Link]" (PDF). ^ "Full text of U.S. antitrust complaint against Intel [Dead Link]" (PDF). ^ Peter Clarke, EE Times. "AMD 'clocks' FX processor at 8.429-GHz". September 13, 2011. Retrieved September 15, 2011. During the video, cooling transitions from air to water to liquid nitrogen and finally to liquid helium. ^ Matthew Humprhires, Geek.com. "AMD clocks FX-8150 at 8.461-GHz". November 1, 2011. Retrieved November 1, 2011. ^ Lezhnev, Sasha; Alex Hellmuth (August 2012). "Taking Conflict Out of Consumer Gadgets: Company Rankings on Conflict Minerals 2012" (PDF). Enough Project. Retrieved August 17, 2012. ^ "The Green Grid website". Rodengen, Jeffrey L. The Spirit of AMD: Advanced Micro Devices. Write Stuff, 1998. Ruiz, Hector. Slingshot: AMD's Fight to Free an Industry from the Ruthless Grip of Intel. Greenleaf Book Group, 2013. Wikimedia Commons has media related to AMD.